verb, provide with the food or other substances necessary for growth, health, and good condition. As a mother I’ve been immersed in the breast vs. bottle debate from very early on. Myself, I chose to breastfeed. In fact, I didn’t even consider an alternative even though breastfeeding didn’t come easy. I fought for it. My son was born a few weeks early, and being a small baby he had trouble breastfeeding. The first couple of months were a nightmare, but I fought tooth and nail for it, and ended up breastfeeding long-term, well into his third year. On hearing some of my acquaintances decided not to breastfeed, or quit after a couple of weeks, I’d privately sneer to myself and say they hadn’t tried hard enough. After all, if I could do it, so could everyone, right?! I was well in the camp of “breast is best” and “my way or the highway”. But as time went on, I changed my mind. I’ve met more parents, mainly through being a family and baby photographer, and witnessed and heard many different stories of breastfeeding and bottle feeding. I blogged about it, and I’ve become wiser and more accepting, seeing beauty in both ways. Whichever way you choose to feed the baby is beautiful. Be proud, because you’re nourishing their body, and the connection with you is nourishing their souls too. Nourish is about just that. Documenting all the different ways we feed our babies. The beauty, and the struggle. Want to be part of it? Get in touch today. 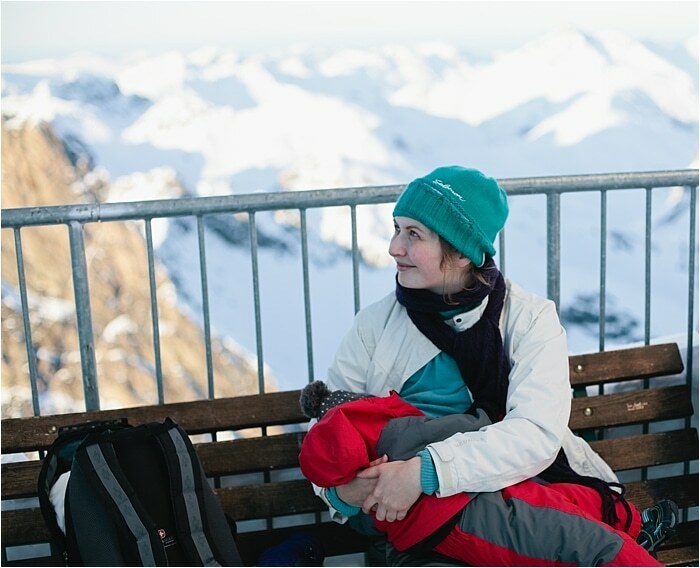 Me, breastfeeding on the top of the Alps. Sadly, one of the very few photographs I have of myself breastfeeding. This section will grow as I add more content and share more Nourish stories over on my blog. Please check back soon.